Pressure cooker is indeed one of the vital gadgets in the kitchen. The foremost advantage of a pressure cooker is that it cooks faster and easier. At the same time, it massively helps in retaining the taste, flavor and health in the food cooked in it. The pressure cooker manufactures round the world are developing more and more options to make life easier. As it is already told that the valve of the pressure cooker plays a major role in controlling the steam formed inside the pot. The steam formed due to the rise of the temperature is one of the major elements having two significant effects. If you have been using your mother’s or your grandmother’s hand me down pressure cooker, don’t you think it is high time you buy a new one to replace it? Well, before getting a brand new pressure cooker you should know the important facts about pressure cooker and the buying tips. Aluminum pressure cookers are lightweight, provide uniform heating performance and affordable. While Stainless steel pressure cookers are nonporous, a little heavier, and more expensive than aluminum pressure cookers. With heavy use, however, aluminum pressure cooker will stain and pit, but stainless steel pressure cookers are extremely durable and can provide years of use with a striking high luster finish. 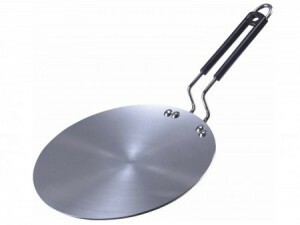 However, stainless steel is not a good conductor of heat, so it’s best to select a model with a aluminum layered base steel cooker. If you purchase a stainless steel pressure cooker, try to opt for cookers that have a bimetal or trimetal base bottom. This eliminates scorching and provides excellent heat conduction and easy cleaning. Select pressure cooker with a timer if you don’t want your vegetables to get mushy. Pressure cooker with timer has that quick release option which takes less time to lower down the temperature and release the pressure. You don’t have to wait for about 10 to 20 minutes to open the lid. You can get pressure cooker with a detachable pressure regulator for daily purposes. Keep the detachable pressure cooker accessories safe. Make sure the handles of the pressure cooker feel comfortable and secure. Better models of pressure cookers have ergonomically designed pressure cooker accessories, handles for comfort and ease of handling. Do know what size pressure cooker you want. Most of the pressure cookers are sold by the size of their total liquid capacity. Though, the actual functional capacity is one half to two thirds of its liquid capacity. It is necessary to keep the extra space to allow steam to build inside the pot. Do read the user’s manual and be familiar with how to use it. After every use, wash it thoroughly. Store it with the lid separated. 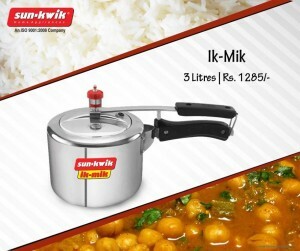 Having a good and reliable pressure cooker definitely offers its advantages for easy cooking in the kitchen. Enjoy cooking.